The 190 meter long, 57000 dwt freighter Maria V. Livanos was damaged while berthed at Novorossiysk, Russia. 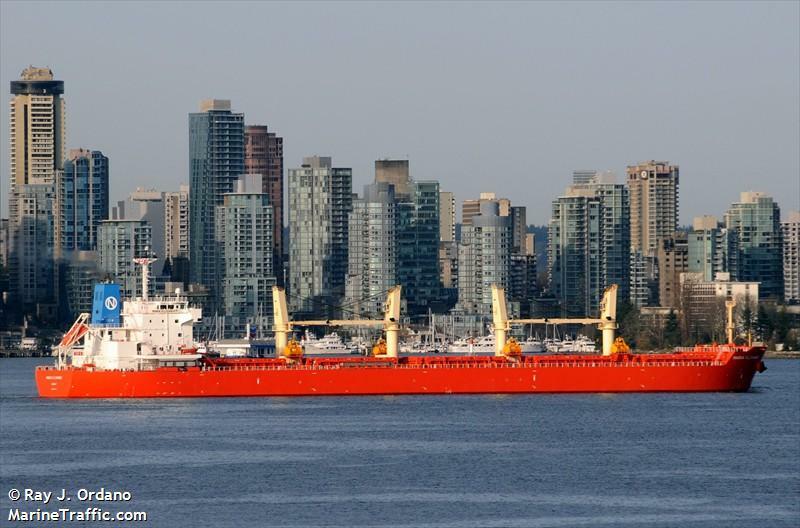 The freighter was damaged when the mobile crane collapsed and fell onto the vessel. The crane operator was injured and was sent to hospital. No details reported to the damage to the vessel.